Unpaginated. 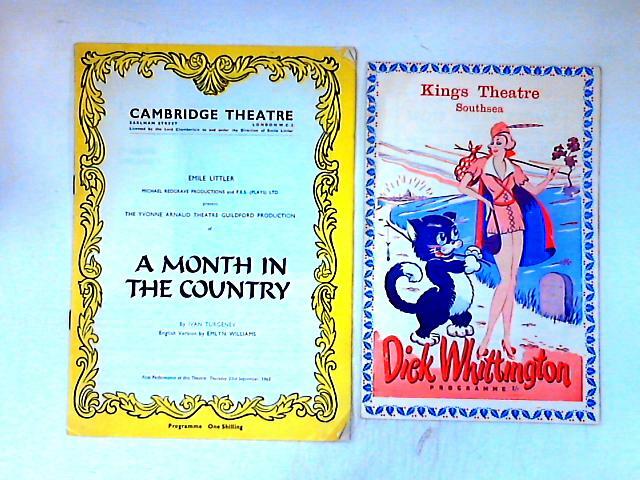 2 theatre programmes from the Kings Theatre, Southsea & Cambridge Theatre. Both well-preserved copies with only minor edge wear.